175 Deerfield Road, Newmarket condos are located on 175 Deerfield Road, Newmarket downtown. These condos and townhomes aims to be luxurious and desirable with greenery to boost clean living and sustain environment. The project is being built in an area which is favorable to hikers and cyclists. 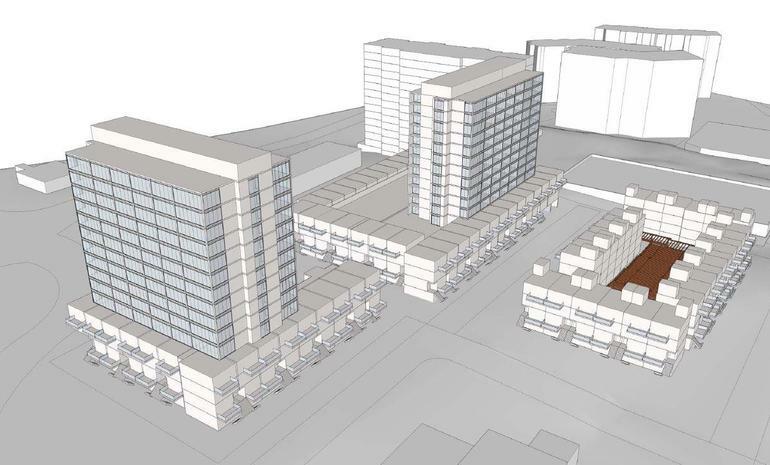 This preconstruction high-rise project is set to be built on 4.4 acre of land. This condo and townhome project will house 500 units with 2 multifamily buildings and suites to accommodate larger families. The open concept suites will have floor area that will range from 594 sq.ft. to 2100 sq.ft. The 175 Deerfield Road amenities offered by 175 Deerfield Road are; communal outdoor seating, rooftop cooking centre, lush green spaces with dog park, dedicated visitors parking, residential parking, concierge services, guest suites, and freehold townhomes. Other amenities include gymnasium, yoga studio, Pilate studio, community hall, 24*7 security and maintenance staff. 175 Deerfield Road Condos Location will be near multiple transit stops. There are 8 bus stations nearby with the closest being Davis Dr/Parkside Dr and the Davis Dr/Longford Dr being just 1 mins away. The Newmarket GO is just 4 mins away. The Newmarket GO railway station and the VIA Rail is 4 mins away. Other nearby railway stations are the East Gwilimbury (7 mins) and the Aurora GO (14 mins). The VivaNEXT buses runs along the Davis Drive to the GO stations, which connects with the Union Station within an hour. The nearest airports are the Holland Landing Heliport and Airport (8 mins) and the CLA4 Holland Landing Airpark (9 mins). A bustling employment hub, the York Region’s Administrative Centre is 17 mins away via public transportation. The area is near some highly established schools and colleges like Maple Leaf Public School, Wetherby School, First Interactive Computer College, Richmond Hill School, Newmarket Inn School and Best Western Voyageur Place Hotel School. Nearby hospitals are CML Healthcare Laboratory Services, Southlake Regional Health Centre, Aurora Physiotherapy and Rehabilitation Centre and York Hearing Clinic. Rose Corporation is an investment and development firm over 30 years old. They focus on variety keeping the focus on luxury. Having an impressive portfolio of residential and commercial architecture, the firm have always aimed towards the uncommon and have always been successful in this endeavor. Being a boutique real estate firm they have an impressive clientele and a large customer base which makes them a leading name in the business.